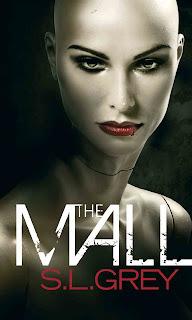 I got The Mall when I won a give-away from one of the blogs that I follow, Graeme's Fantasy Book Review; I saw the premise on his blog (which you should definitely check out, hint hint) and thought, "Yeah, that sounds like my cup of tea". It has, unfortunately, taken me over a year to actually get round to actually reading it. So, a year on, am I glad that I won that give-away? The premise follows Rhoda and Dan, two young adults who meet in a Johannesburg mall. Rhoda is a junkie who has lost the young boy that she was babysitting whilst going to buy some cocaine, while Dan is one of the employees at the mall's book-shop. Convinced that Dan has seen the boy, Rhoda bullies him into showing her the service corridors of the mall, in an effort to find him before she has to get him back to his parents. 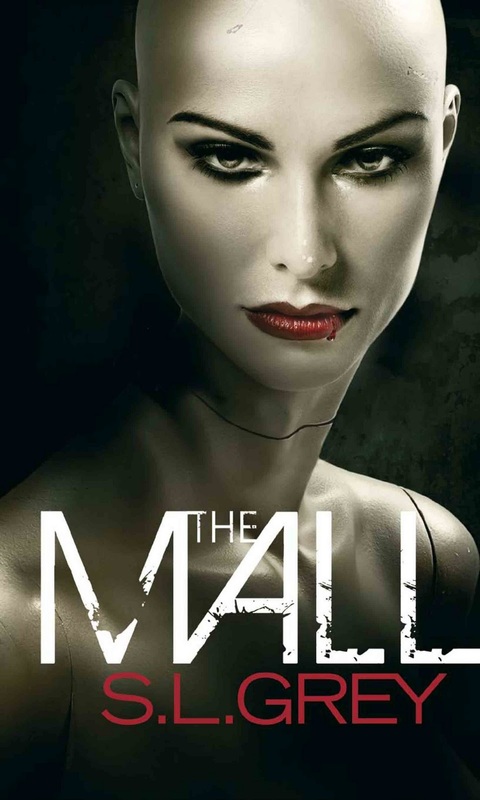 Instead of finding the boy, however, they find their worst fears come to life, eventually leading to another mall that is a warped mirror of the mall in the real world; all the while they are goaded by threatening text messages, in places where they shouldn't be receiving any. I genuinely like the premise here. If you can create something that is completely screwed up and weird, then that automatically earns you points in my eyes. The author has to really nail the execution though, if I'm going to love it. I almost loved this one. Granted, I've been talking to friends and family about just how weird this actually got for me, and they've been kinda put off by it; looking at it in retrospect though, it does make sense as a whole, which I really liked. If you actually boil the plot right down, it's incredibly simple; introduce characters, then BAM, horror imagery and situations. It actually kind of reminded me of survival horror video games at first. I guess what I really liked about this was the concept of the other mall and the effect that the experience has on the main characters. I shan't talk about the latter, as that strays into spoiler territory. I think I'm probably safe to talk about the mall itself though, so I'll mention the part that really interested me about it: the satire of capitalism. The other mall essentially embodies the warped version of capitalism's sort of ideal vision, as there are three main options for them there: become a Shopper, become an Employee or drop out of the system altogether. Become an employee, and you become a mindless drone chained to your counter, with a gaping wound in the side of your neck. Become a shopper and you literally live to shop, altering your body in the mean-time to be either morbidly obese, completely emaciated or have parts of your body hacked off or pumped with silicon. Drop out entirely and you risk your life and sanity beneath the mall, taking what you can from the remains left by the shoppers and the employees. This idea just works for me, as it perfectly reflects the excess and unfairness that can be the result of overt consumerism. The only thing about the premise that really bothered me all that much was the logistics of it; there's evidence that Rhoda and Dan aren't the first people to disappear into the other mall, so part of me was wondering just how several disappearances of mall patrons would go unnoticed by the rest of Johannesburg. Unless disappearances are that common an occurrence over there, which is a thought I'd rather not entertain. In terms of the characters, I thought I would hate them after I'd read the first couple of chapters. On the one hand you have Rhoda, a junkie who pretty much abandons a child in her care to get drugs, and then proceeds to threaten a guy with a knife to get him to help her. On the other hand you have Dan, an entitled, passive-aggressive brat who hates his life because he can't get his gold-digger co-worker to notice him, much less go out with him. At first, I was pretty much hoping that they would both die in the course of the novel, but they did grow on me as I read on. They aren't my favourite characters from a book, by no means, but they do become more sympathetic as they go on.